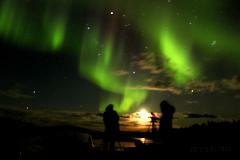 Discover Yellowknife the home for famous arctic diamonds, Ice Pilots television series and the spectacular Aurora Borealis on this 3-hour sightseeing tour. Enjoy this 4-hour hiking day tour at Cameron falls and reconnect with nature and wildlife at its best. 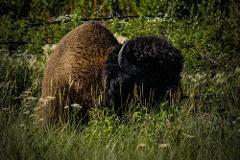 On this tour you will encounter some northern wildlife, take in stunning views, and learn about the region and wildlife! 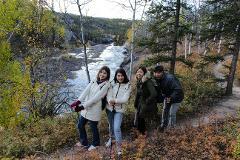 Venture out of Yellowknife for buffalo guided tour that takes you into vast wilderness beyond the city limits, delving into the culture, history, and landscapes of the Northern Territories. Along the road scope out for native animals. 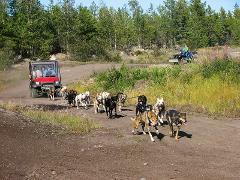 Experience dry land dog mushing on wheels on two hours guided tour that includes tour of sled dog kennels of defending champions of Canadian Dog Derby Championship. Walk in our shoes exploring frozen lake on 2 hours guided snowshoeing tour wearing comfortable snow-shoes. 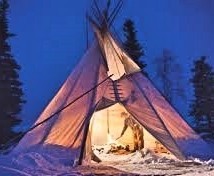 As you journey through frozen lake and boreal forest, learn the history of the lake. 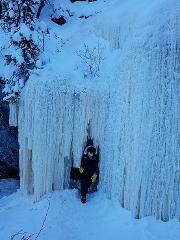 At the end of trail enjoy beautiful ice cave. 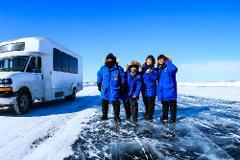 Explore Yellowknife - Dettah Ice Road on a two hours guided Ice Road Adventure tour. Experience a true northern winter adventure on a 1.5 - hours snowmobile tour. 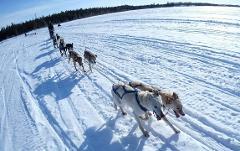 Your expert guide will lead you on your adventure through frozen lakes and beautiful wilderness trails surrounding the city of Yellowknife. 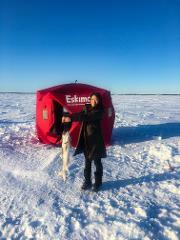 There is nothing more arctic experience than Ice Fishing on one of the largest lakes in Canada. 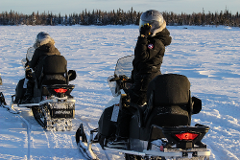 Join your guide on an ice fishing adventure on Great Slave Lake. 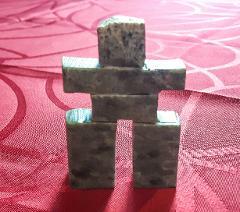 Indulge yourself in a two hour aboriginal stone carving workshop from internationally known local Yellowknife carvers. Learn the Technics to carve polar bear, ptarmigan or Inukshuk. Take home memories with you of your finished carving. 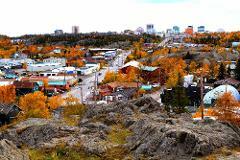 Make your trip to Yellowknife one to remember with an exhilarating helicopter ride over the city of Yellowknife! 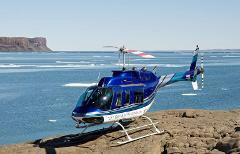 Enjoy fabulous view of frozen boat houses on Great Slave Lake from state-of-the-art, Bell206B helicopter. 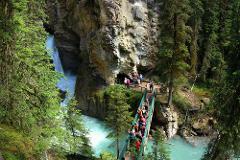 Explore the best sights of Banff and Jasper national park on half day guided tour. Learn about the region's unique history from your passionate tour guide.